When I was in Los Angeles this winter, Susan and I went shopping at her local Trader Joe’s. 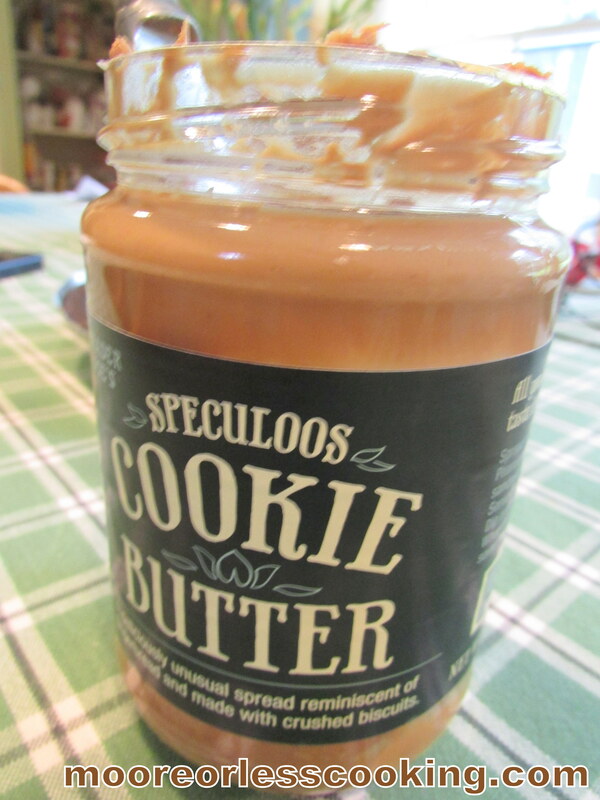 Susan wanted me to try their Speculoos Cookie Butter. The nice employee working there that day, offered me a taste on a spoon, oh it was dreamy yummy! I couldn’t wait to make a recipe with this yummy treat and stop eating spoonfuls of it out of the jar! So here we are in full summer mode and turning on my oven right now is not a great choice. 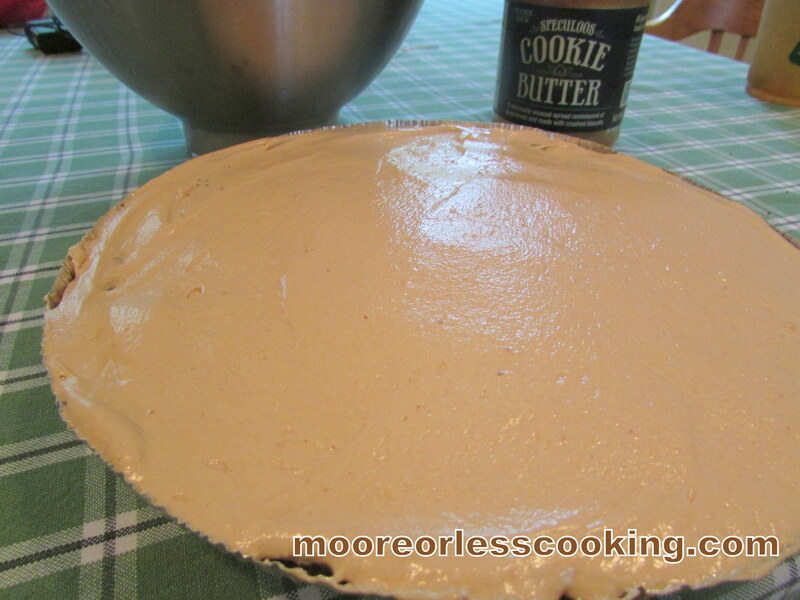 So I decided to make a NO BAKE COOKIE BUTTER PIE. Oh my it is wonderful! So easy! This time I froze the pie so that it was easier to cut. When my God Daughter and I made the Peanut Butter Chocolate Pie, it would have been easier to cut had I froze it up a bit. 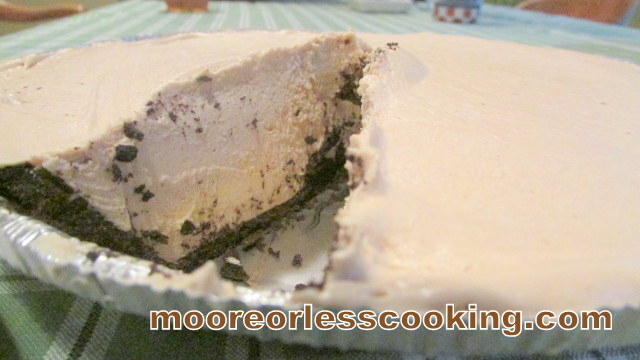 The recipe calls for an Oreo Crust, since I didn’t have any Oreo’s lying around in my pantry ( I have kids!) but I did have a Pre- made Oreo Crust….haha..Mom strikes again! 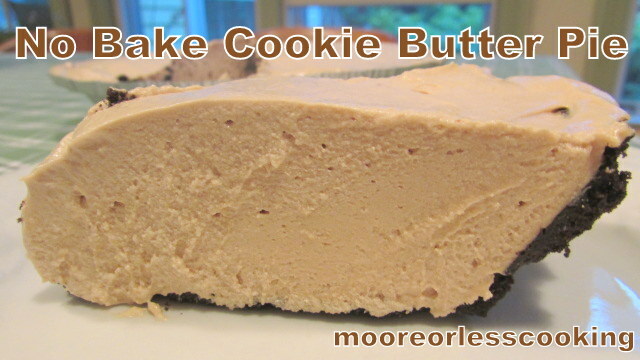 Have you tried Cookie Butter before?? If not, it has a pleasant warm taste, spiced with cinnamon, some people have gone so far as to call it Christmas in a bottle. It is literally your favorite gingerbread cookie in spread form. I used my wonderful KitchenAid to mix up the ingredients, if you do not have a KitchenAid, you can use your hand Mixer. This is a perfectly smooth creamy filling. 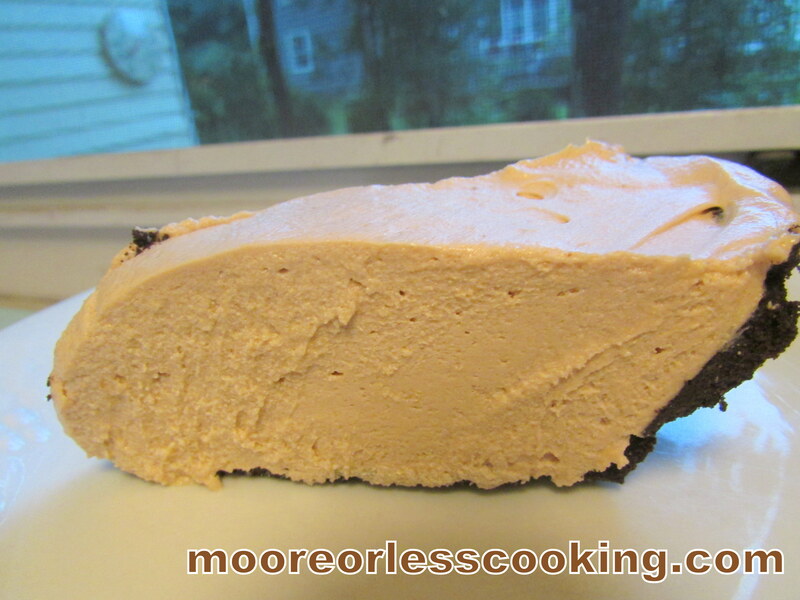 Delicious No Bake Cookie Butter Pie after 1 hour in the freezer. 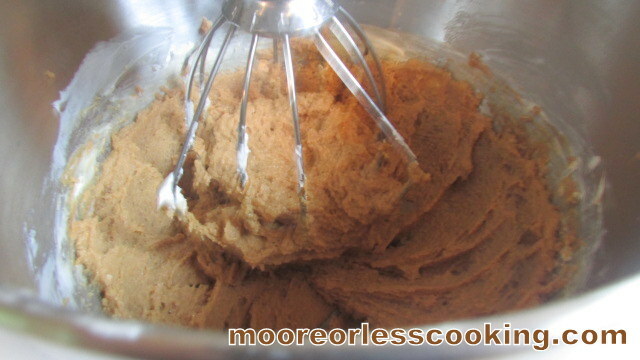 In a stand mixer, using the whisk attachment, blend the cookie butter and cream cheese on medium speed. Turn mixer off, scrape sides of bowl, add powdered sugar. For another minute, blend on medium until everything is well blended. 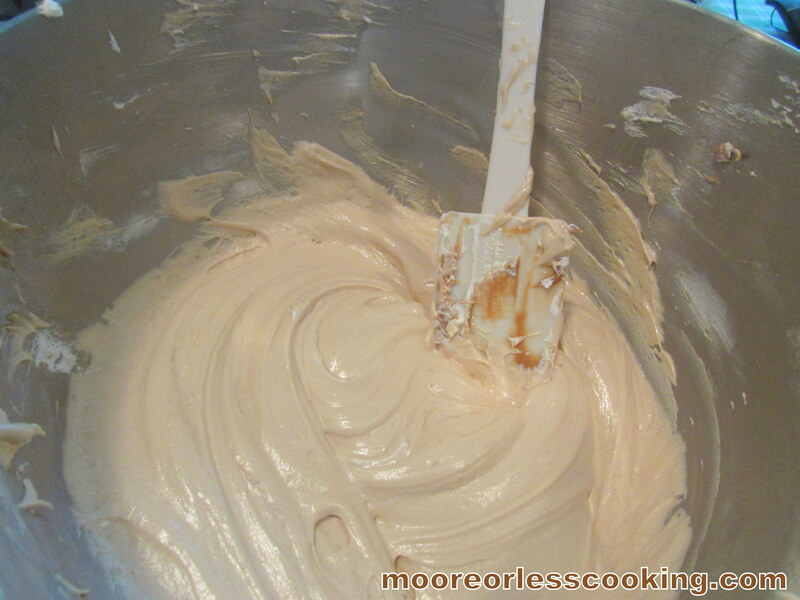 Scrape the sides of the bowl, then add Cool Whip. Whisk for another minute. Blend until everything is incorporated. 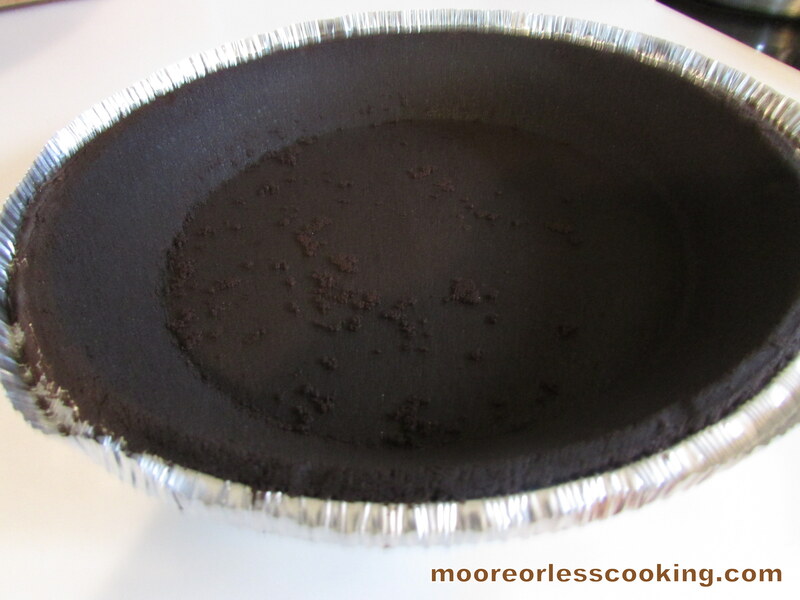 Pour the filling into Prepared Oreo Crust. Using a spatula or knife, spread out the filling in an even layer. Place in Freezer for 1 hour or until thick and firm. OK Nettie, you have me with this one. My kind of baking…no baking. I have no excuse to NOT make this pie! Trader Joe’s is right down the street from me. See no excuses. The Hubby will be very excited about this! 🙂 Pinning! KC, I am so jealous that you have a TJ’s down the street, yes you have no excuse, especially since it’s a no bake non bakers dream! !